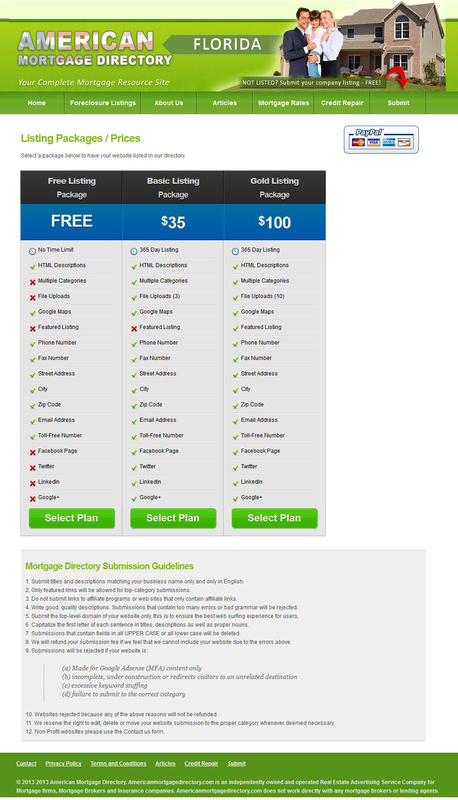 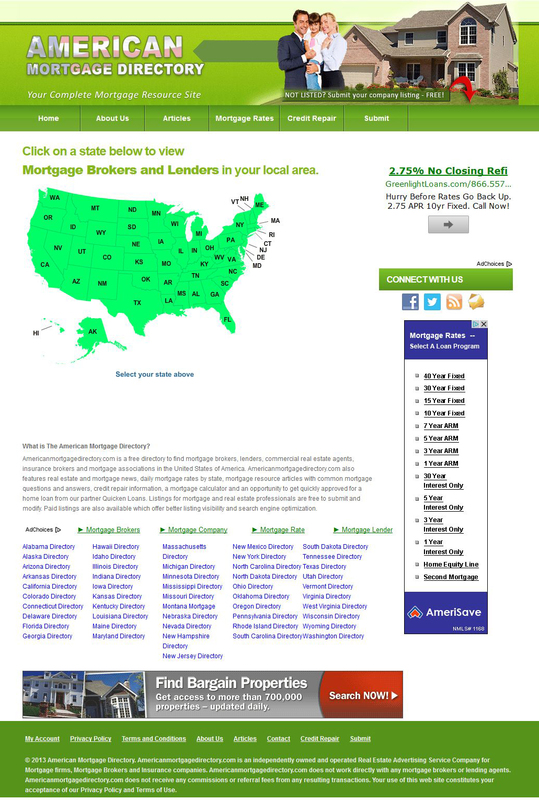 Directory website created to assist homebuyers find mortgage brokers and information. 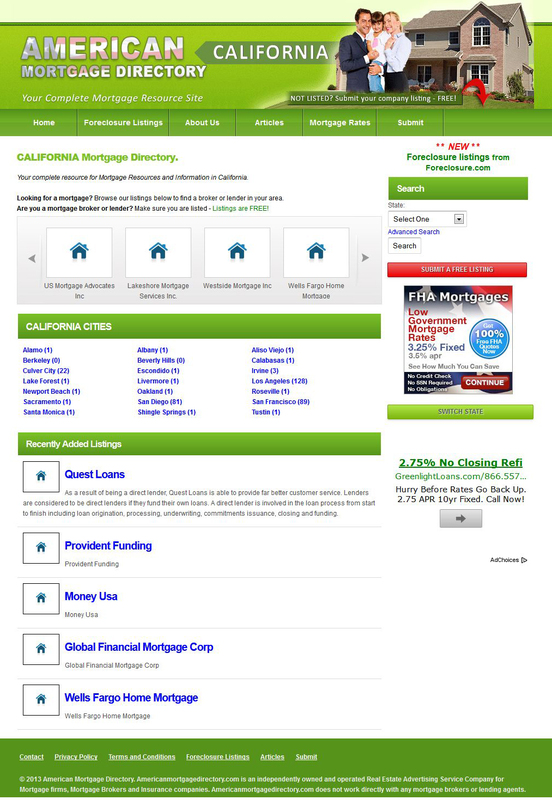 Additional mortgage resources, live interest rates and loan information also included. 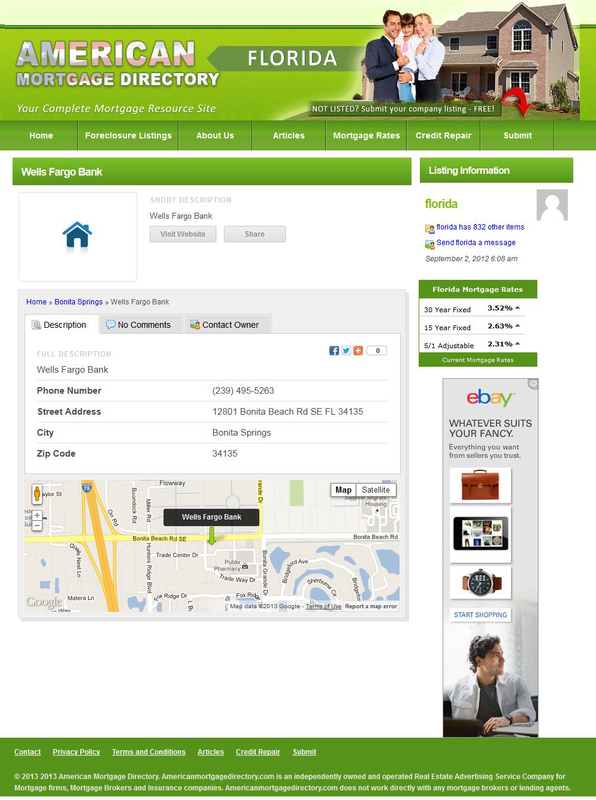 Extensive SEO along with third-party advertising and Google AdSense integrated into site.